Dr. Tuten received his Ph.D. in Hispanic Linguistics from the University of Wisconsin-Madison in 1998. His research focuses on questions of language change in Spanish and other Romance languages, with particular attention to how cognitive, social and cultural factors combine to influence change. His 2003 book Koineization in Medieval Spanish (Mouton de Gruyter) examined the effects of dialect mixing on the history of medieval Castilian, during which many of the key features of the modern language developed. 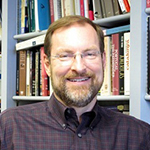 Dr. Tuten continues to study dialect contact and mixing but has also begun to study processes of standardization in the early and later history of Spanish, with attention to the contrasts and interactions between koineization (as a "quasi-automatic" process) and standardization (as a more-or-less conscious shaping of the language). "The relationship between historical linguistics and sociolinguistics." 2011. With Fernando Tejedo-Herrero. In Manuel Daz-Campos (ed. ), Handbook of Hispanic Sociolinguistics. Oxford: Wiley Blackwell, 283-302. "The loss of Spanish -udo participles as a problem of actuation." 2010. Romance Philology 64: 269-284. "Factores socioculturales en el desarrollo de vuestra merced / usted." 2008. In Concepcin Company and Jos G. Moreno (eds. ), Actas del VII Congreso Internacional de la Historia de la Lengua Espaola. Madrid: Arco/Libros. 2189-2200. "Identity Formation and Accommodation: Sequential and Simultaneous Relations." 2008. Language in Society 37(2):259-262. "Reflections on Dialect Mixing and Variation in Alfonsine Texts." 2005. In Roger Wright and Peter Ricketts (eds. ), Studies in Ibero-Romance Linguistics Dedicated to Ralph Penny. Newark, NJ: Juan de la Cuesta. 85-102. Dr. Tuten has a strong interest in the areas of applied linguistics and language pedagogy. From 1996 to 2009 he served as Director of the Spanish Language Program at Emory. He is principal author of four editions of the intermediate Spanish language and culture textbook Fuentes: Lectura y redaccin (now published by Cengage/Heinle amp Heinle, co-authored with Luca Caycedo Garner and Carmelo Esterrich; 5th ed. forthcoming). Dr. Tuten teaches courses in linguistics in both the Department of Spanish and Portuguese and the Program in Linguistics (for which he served as Director from 2005 to 2011). Undergraduate Spanish courses include: honetics: The Sounds of Spanish (Span/Ling 303) as well as seminars on Hispanic Sociolinguistics, History of the Spanish Language, and Espanglish: Latina/o Bilingualisms and Cultural Production. For the Summer Iberian Studies Study Abroad Program (in Seville and Salamanca), he regularly teaches the seminar Dueling Tongues: Language, Identity & Politics in Spain. Linguistics courses include Foundations of Linguistics (Ling 201), Historical Linguistics & Language Change; Bilingualism and Multilingualism; Language, Gender & Sexuality.